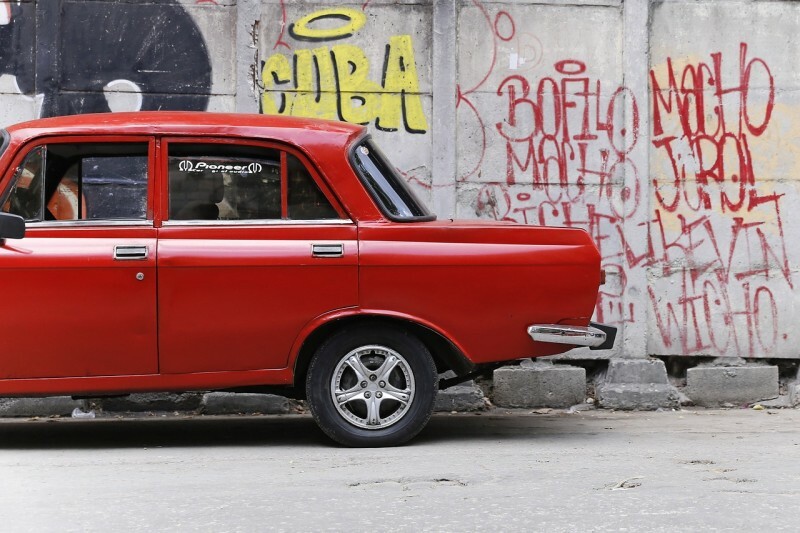 If you’re headed to Cuba, you already know that there is (finally!) Internet service in Havana, Santiago, and other cities. Beginning in early 2015, WiFi hotspots began popping up around the country. But finding it can be a daunting task and the service isn’t free. Unlike most countries, Cuba has one of the lowest rates of Internet connectivity in the world. So, Wi-Fi service isn’t readily available in many hotels, apartments, cafes, etc. However, it’s not quite as difficult as you might think. Here’s what you need to know. Cuba’s Internet service is provided by the government-owned ETECSA which serves all of Cuba’s telecommunications needs, including WiFi and internet. ETECSA stations are located throughout Havana and most other cities in Cuba and they’re typically easy to spot. Just look for the buildings with the longest lines outside or ask any local where the nearest station is. They’ll know. 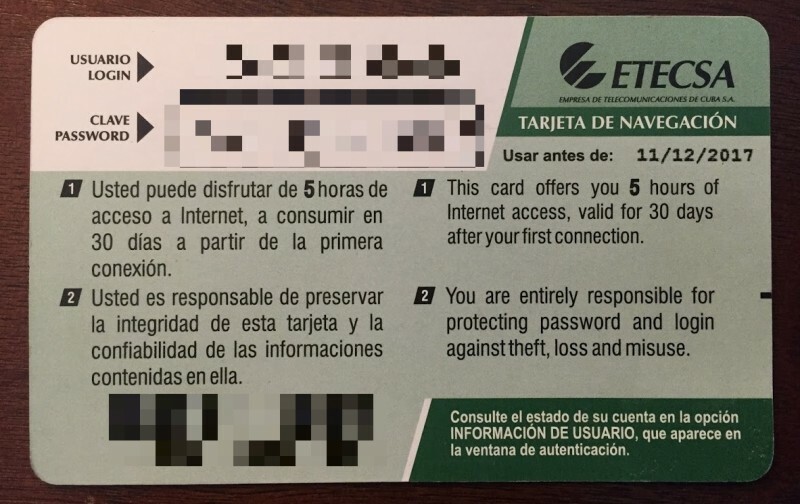 The process of buying a prepaid Internet card in Cuba can be frustrating, particularly if you’re purchasing directly from an ETECSA office. The bottom line is: be patient. Like most of life in the Caribbean, things in Cuba move very, very slowly. The lines are often frustratingly long with waits of two hours or more at peak times. But your wait will pay off because purchasing your card at an ETECSA station (versus a hotel) is much cheaper — just $1.50 US per hour. Our recommendation is to guesstimate in advance how much time you plan to spend online while in Cuba. Then, buy your NAUTA cards in bulk to save yourself the hassle of waiting again and again. NAUTA cards are also available at most modern and upscale hotels where the process is far quicker and easier. But you’ll pay for that convenience — often $4 USD (or more) per hour. On the upside: you won’t have to wait in line. 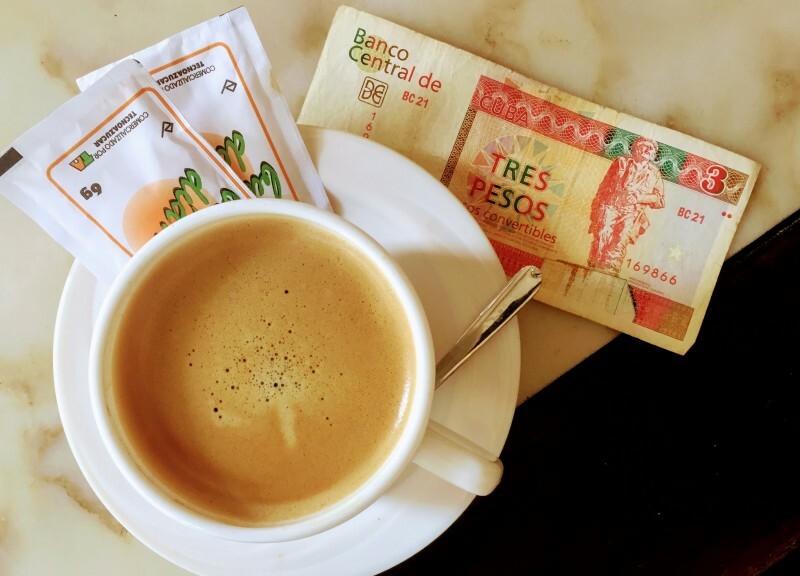 A hotel: many city hotels, particularly the nicer ones in Old Havana, provide not only NAUTA cards for sale but also decent WiFi access. This is arguably the best option as the Wi-Fi tends to be reasonably reliable. We had great service at Hotel Sevilla and Hotel Santa Isabel. Again: be patient and don’t expect broadband speeds! A public Internet park: some major parks throughout Cuba are setup as Wi-Fi access points. In Havana, this includes: La Rampa Street, Havana Vedado; Parque Céspedes, Havana Vieja; and Boulevard de San Rafael, Havana Vieja. Other parks are available in Trinidad, Cienfuegos, Baracoa, Holguin, and Vinales. Ask any local in your destination city and they can point you in the right direction. Click here for a thorough (though not quite complete) list of more than 200 WiFi hotspots in Cuba. Even the process of logging on and off the Internet in Cuba is often complicated. Once logged in, a second screen will appear that shows how long you’ve been logged in for the current session and how much total time/credit remains on your prepaid Wi-Fi card. You can technically close this extra window, though I recommend keeping it open to keep track of your time. Once you’ve completed your session, be sure to log out! 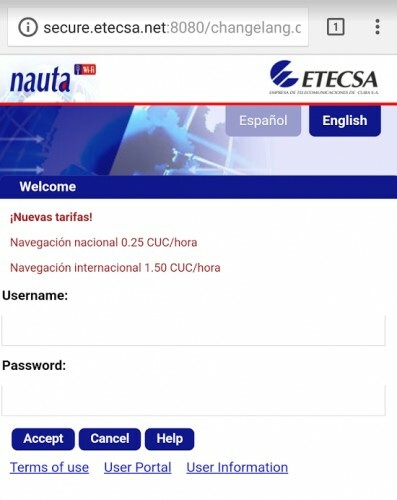 A basic screen will popup indicating the total time used/remaining on your NAUTA card. Click the “Cerrar sesion” button to logout. Because Cuba’s Internet service is such a hot commodity, there are plenty of scammers looking to sell you fake cards. They might approach you in the street or outside ETECSA. They may offer a seemingly great deal, but don’t fall for it. Our recommendation is to only buy from hotels and/or legit ETECSA stations where you know you’re getting the real deal. Download or screencap your most important info/documents to your laptop or mobile device before leaving home. Things like: a copy of your passport, restaurant/POI recommendations from TripAdvisor, your flight details, etc. Just assume you won’t have easy online access to any of this information while in Cuba. Tourists must present their passport when purchasing a NAUTA card. This means that everything you view online can be tracked back to you. While the Cuban government is unlikely to actually make arrests for looking at “forbidden” sites, it’s worth noting that they have the power to do so. So: protect your card (including your WiFi username and password) at all time! Don’t give it out to anyone and don’t leave your NAUTA card in a conspicuous place (like face up on the table of a hotel lobby) where sneaky bypassers can see it.